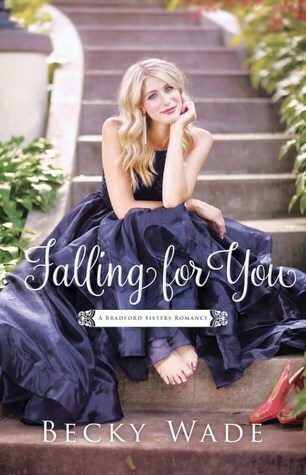 Willow Bradford is content taking a break from modeling to run her family's inn until she comes face-to-face with NFL quarterback Corbin Stewart, the man who broke her heart--and wants to win her back. When a decades-old missing-persons case brings them together, they're forced to decide whether they can risk falling for one another all over again. I was kind of disappointed in this book. Maybe it was because I had such high expectations from the last one, True to You. I loved Willow in that book. Corbin was also great in that book, for the little parts he made an appearance. But sadly both just feel a little flat for me in this book. I'm not even sure why, other than maybe their relationship was too angsty. Plus, Corbin is the quintessential stereotype of a jock, and that personality has never done anything for me. I like my leading men to be sweet, not jerks. I think my biggest issue with the book (and this is probably a spoiler so beware if you keep reading) was when Corbin and Willow got pregnant. He never felt the guilt that she felt, and honestly, the author never gave a good reason why Willow felt guilty. Corbin asks why is was such a big deal (besides the fact he was a jerk about it), but the author never gives a good clear answer about why it's important to wait until marriage for that type of relationship. In fact, she almost had them do it again. It just really bothered me. Also, the mystery portion of this book was just...weird. I didn't feel it was needed, and I didn't feel like it added anything to the story, besides distract from all the other weirdness. I am looking forward to Britt and Zanders story, so here's hoping that their story is less angsty and has a better moral to it.